Southeast Asia is on track to becoming the smartphone continent of the world. Shipments of smartphones to SEA increased by a huge 22% in 2015, totaling over 100 million units. Countries in the region are therefore experiencing a huge surge in smartphone use and are becoming predominantly mobile-first countries. Malaysia is no exception. With a population of 30.5 million, the country has over 43.4 million mobile connections, indicating a 143% mobile penetration rate, the highest penetration rate in Southeast Asia. 96% of the population (unique users) own one or more mobile device – 71% of these owning a smartphone and a quarter still owning feature phones. It’s clear that the opportunity for mobile in Malaysia is phenomenal. Malaysian consumers, like many other emerging markets such as Vietnam, Indonesia and the Philippines, have circumvented the desktop and laptop trend that western countries embraced. Just 35% of the Malaysian population own a desktop or laptop computer. This is a stark difference to mobile ownership, going to show just how lucrative and important the Malaysian mobile market is. With the people of Malaysia spending so much time on mobile it’s important to know what activities they are carrying out in order to understand their user behaviour, which is especially important for marketers and advertisers. Malaysian mobile users are the first country recorded to spend more than three hours per day on their smartphones, currently spending three hours and 37 minutes per day on their mobiles – the highest of any country. So what activities are they carrying out? Mobile search is used a significant amount in Malaysia due to low desktop and laptop ownership rates. Web page views on mobile and tablet equate to 52%, with 48% of this coming from mobile and 5% from tablets. 38% of web page views come from desktop but this figure is steadily decreasing, making more room for mobile to hold the majority share of web page views. With more than three in ten of the population using their devices exclusively for accessing the internet, mobile browsing should not be underestimated. One of the most popular activities on mobile is shopping. Nearly half (47%) of the Malaysian population shop online with their smartphone and m-commerce is set to grow 300x times faster than standard e-commerce throughout 2016. Malaysia is the 3rd fastest m-commerce country in the world, after India and Taiwan. A high percentage of the mobile shopping experience is carried out on mobile browser in comparison to app, mainly due to people wanting to research and gather information over multiple sites. The importance of the mobile web doesn’t mean that Malaysian smartphone users are not using apps, however, Malaysian mobile users download and use the lowest amount of apps compared to other Southeast Asian countries such as Thailand and Indonesia. On average, Malaysians actively use 6.1 apps per month (OnDevice Research, 2016). App time is dominated by social messaging, gaming and social media. Malaysia has become the most active country on social messaging apps such as WhatsApp and Facebook Messenger, with 77% of the population using these services on a daily basis, compared to the UK where just 39% of the population use instant messaging services. The app download behaviour of Malaysian consumers is in line with Morgan Stanley’s recent research on mobile web and app use. The research found that the most popular apps were those which had a specific purpose or apps that the user had brand loyalty to e.g. apps which are used on a daily basis, like messaging, social media and apps which provide information such as weather apps. Morgan Stanley found that the mobile web audience is in fact twice larger (and growing) than mobile app audience due to the different behaviours carried out. 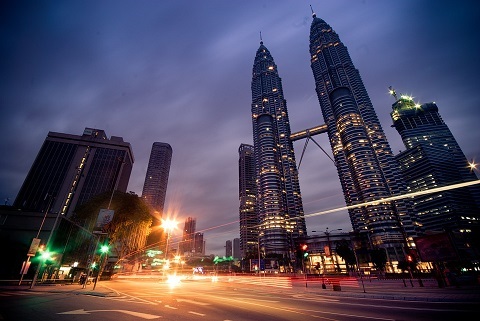 The potential of the mobile web in Malaysia for marketers and advertisers is phenomenal. The mobile web allows marketers and advertisers to reach an engaged audience who spend more time than any other country on their mobile. Like the rest of Southeast Asia, markets like Malaysia really should not be underestimated as a leader in smartphone use.